credit card liabilities are a frequent source of conflict in separated couples. Credit card liability must be disclosed during property settlement. The party mainly responsible for the credit card liability might be awarded a lesser share of the properties. The issue of paying for credit card liability can be avoided by a couple if they make a financial agreement early in the relationship. In the agreement, the parties can stipulate about credit card liability like who is going to pay for the charges or what items can be charged to the relationship’s common funds. The terms and conditions of the agreement will implement a system of usage and payment of the credit card. The agreement can also establish a property settlement in the relationship. It is advantageous to have an agreement at the start of the relationship to prevent confusion as to the sharing of assets and liabilities. When parties separate or divorce, credit card liability is one of the important matters that will be discussed in a property settlement. The first step in the property settlement process is to identify assets and liabilities. One of the liabilities that a party must disclose is his credit card liability. The process of property settlement requires full and frank disclosure by the parties. This disclosure is required for married couples and de facto partners. Parties must come to court or the negotiation table with all honesty or else they might be penalized for failure to disclose information. In disclosing credit card liability, the party must be armed with financial documents like billings and receipts. A party must first recall when the relationship started and when it ended. 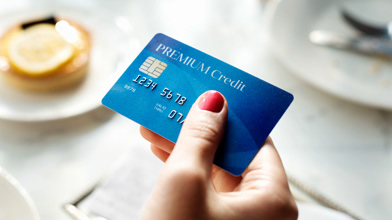 Normally, those purely personal credit card charges must be credited to the party who benefitted whereas those charges that were used for the relationship must be considered as a common liability. item or service charged, the name of the store or service provider, the date when the item was purchased or when the service was provided, and the purpose of the item or service. The party must inspect his billings and receipts and attach those applicable to the list. The list would help parties identify which charges are personal or which have been used for the relationship. A list is a document that can be easily inspected by the other party without the need for further explanations. It is expected to meet with some resistance in spite of one’s effort to be transparent. The opposing party might doubt whether the credit card liability rebounded to the benefit of the relationship. So a party must be prepared to justify the credit card charges and perhaps provide more financial documents or details. Credit card liability will affect how property is to be divided. If the credit card charge was for personal use, only the party who benefitted must pay for it. A party who unnecessarily used his credit card will see the effects of his imprudence on his share of the assets because he will be lesser than the party who did not participate in the wastage. The Court will award a property settlement that is just and equitable to both parties. The decision will be most likely unfavourable to a party which is mainly responsible for the credit card liability.